A bone head, a Crow, and a Servo. 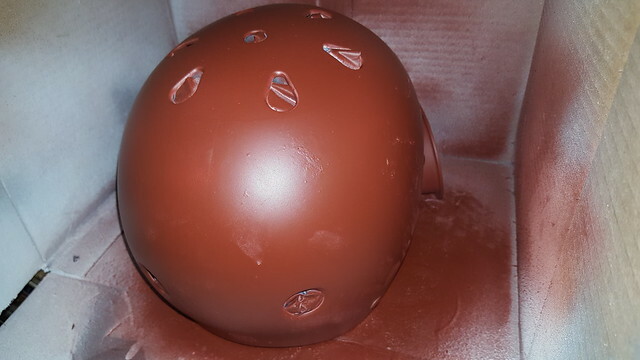 In the sketch Jonah mentions it is a baseball helmet, but it looks alot more like a skateboarders helmet. 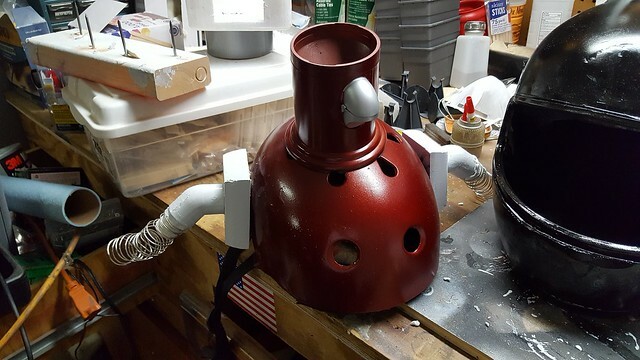 The rest of the build is standard servo, carousel, pauldron, shoulders, arms, and hands. 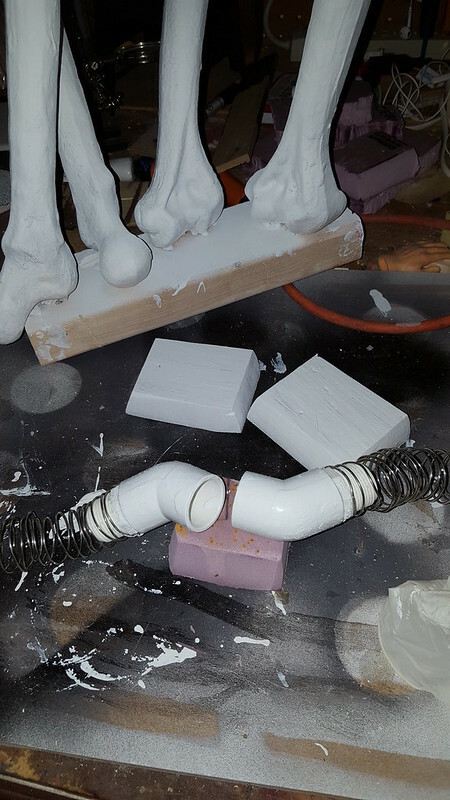 I will use spare shoulders and pauldrons, arms will be made from scratch and the hands will be spare Waverly hands. 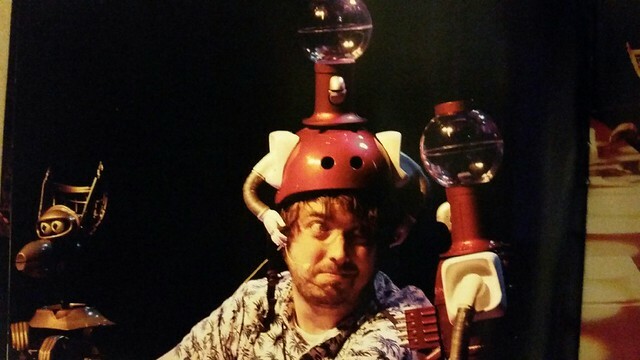 This Invention Exchange was one of the hilights of the Argoman show. I thought I was going to die laughing. Great idea for a build! Do you have plans to make the head/mouth/arms movable or puppeteer-able? No pic update - two coats of Servo Red over the flat red. Plan is to make the mouth open and close, but nothing more complicated than that. Unless I find a cheap RC car or something to take apart. The holes are a bit closer together in the real one. She just got confirmation that the shoulders and pauldrons will come in AFTER the convention. So time to breakout the foam cutter, dremel, and random piping bits. 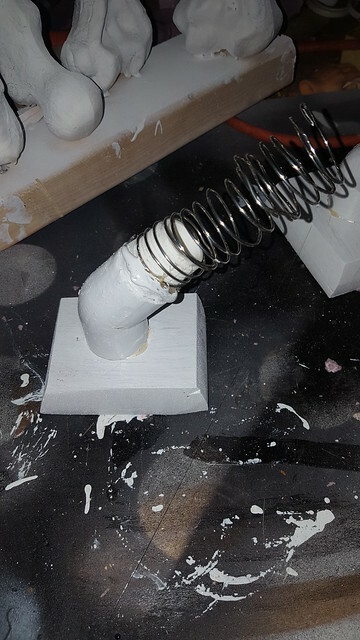 Shoulders were made out of 45degree 3/4inch pvc pipe connectors with threaded stoppers superglued together. They were sanded and painted white. Then I (poorly) handwound some 16gauge wire to make the springs. I will be cutting the pauldrons out of pinkfoam tonight. 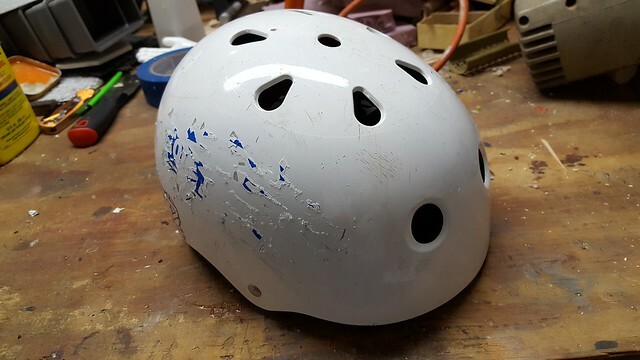 I was helping a friend with some stuff out in his shop yesterday... his son has the same helmet. Smits found hers at the Unclaimed Baggage store in scenic Scottsboro Alabama. 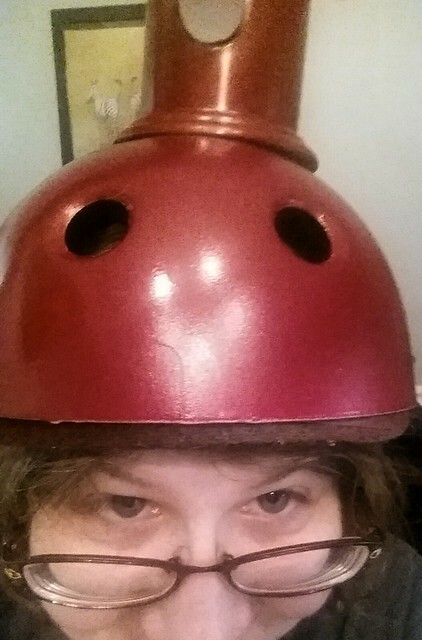 Along with the bonehead helmet that is close enough. I will update my original statement to "I will attempt to make the parts tonight" since it is looking like another 12+ hour workday. Once it is heatformed it will work until the real parts can be obtained. Once we get the real parts we will look into automating him. Lookin' good! It'll definitely be a unique prop; even MSTies you meet at the con might not know where it's from! They'll be disappointed they missed the live show. It really was an hysterical experience. Keep up the good work! Can't wait to hear the reactions you get at the con! i missed the live show because i live in Mississippi. Yeah, a lot of states got the shaft this year. Texas MSTies got the worst of it. Joel has announced that they are considering doing a second tour for next summer, so I suspect the places that got the short end of the stick will be included in the 2018 lineup! yaaaaaaay. Also i fixed my servo's neck.